With 25 years in the marketing business I’ve had the privilege to work with some very talented individuals and savvy clients. Working with truly brilliant minds can be thrilling, gratifying and humbling all at the same time. One thing that has always impressed me is a well written ad. Good ad copy, be it for print, radio, television or online, captivates and informs the audience, positions the brand, and compels the audience to react in a favourable manner. That’s asking a lot of some text — even if it is dressed up with some nice photos, videos or sound. Here are five considerations that will help you to be a better ad writer. It’s easy to fool yourself into thinking that your targeted demographic is just waiting for your pearls of wisdom. The reality is that you have to earn their attention. Your first task is to get their attention. If you are relying solely on text then you’ll need a captivating or perhaps controversial headline. Depending on the medium you can use photo, video or sound to get their initial attention. OK, so you got their attention, but why should they give you any more time? People’s interest is fleeting, so you have to move your audience along quickly from attention to interest. With interest they will read a little further, listen a little more attentively, watch with more focus or perhaps click for more information. The great David Ogilvy (no, I’m not that old, I never worked with David Ogilvy) would argue that you should provide long narratives of information and facts, building a strong case for the product. There is probably still a time and place for that kind of ad, but today’s audience typically demands quick answers in little bite size chunks (thank you Twitter!). So, once you have their attention, move quickly into the meat of your message and give your audience a reason to care. In order for your ad to have impact, your audience needs to identify with it. This may be relatively easy if they already have a need your particular product/service. In most cases, you’ll need to help them personalize your message. To do this, rather than present a list of facts or features, involve both left and right sides of the brain by invoking a whimsical, reflective mindset. Stories or nostalgia are often used to dramatize the product features and illustrate just how good life can be. Well-crafted ad copy takes the audience on quick mind trip (no, not that kind of mind trip) that enables them to virtually experience and appreciate the benefits of owning your product. Let’s assume that you got their attention, then their interest and now they’re fantasizing about having your product in their hands (or something like that). How do you turn their interest into actual action? Now you need a “hook” or “call-to-action” that will compel your audience to behave accordingly. Online this may be entering a draw, or a providing a free download. Other examples are a trial offer, gift-with-purchase, or a limited quantity/special edition. Even the best ad is not going to persuade everyone to buy. In fact, if you get a small fraction of the audience to buy you’ve done an exceptional job. However, good ad copy will get people’s attention and some interest so it should be strategically position the product as the desired solution. That’s right, branding should be an integral part of your messaging. 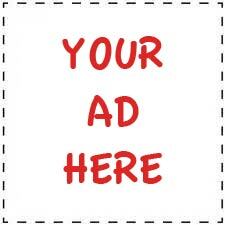 If you brand effectively your ad will continue to sell for you long after its broadcast. Like a well planted seed it germinates in the mind, ready to sprout when the need arises. What would you add to this list? What considerations help write a better ad.